In some situations, a ceiling fan is simply not necessary. Tower fans, on the other hand, are extremely functional and efficient when it comes to circulating air in a closed environment. They are less noisy counterparts to ceiling fans which help in creating a noise-free, peaceful interiors. You can find energy-saving options in tower fans which make them extremely environment-friendly. 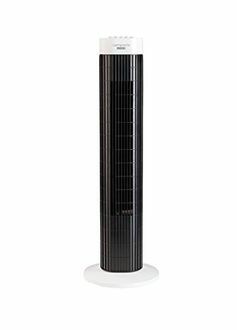 Tower fans are also portable and this mobility is another reason why you should buy one if moving the fan around the room is what you are looking for. They are very compact in size, and their design helps them fit in cluttered spaces without any difficulty. Tower fans are safe due to their vertical fan blades which make them harmless to use around kids and pets. Features like auto shut-off and remote access further help in making it a must-buy for the urban consumer. Buy the best brands of tower fans at the lowest prices to solve your problem of stuffy rooms. Branded tower fans such as Usha, Crompton Greaves, Orient, and Bajaj have been included in this selection compiled by mysmartprice.com. The pricelist generated lets you avail the greatest discounts as it is updated on a day-to-day basis to keep you notified on the latest and best prices to buy a tower fan across online and offline retailers. 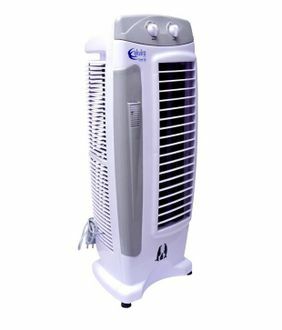 Buy branded tower fans online in India at the lowest prices by going through the list below. Tax rates vary in India from state to state which might cause a slight fluctuation in the prices depending on your locality. However, in metro cities in India such as Bangalore, Chennai, Delhi, Hyderabad, Kolkata, and Mumbai the prices will remain consistent as there is no fluctuation in tax rates in these cities.